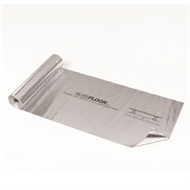 Ametalin SilverFloor 500™ is a double-sided, reflective, pliable building membrane, 97 percent reflective on both sides. It is designed for use as insulation under new framed sub-floors to enhance thermal performance and reduce drafts through strip flooring. Ametalin SilverFloor 500™ has 5mm weep holes at least every 40 mm to allow excess moisture to drain. Ametalin SilverFloor 500™ is not designed to withstand prolonged direct exposure to the elements. Accordingly, upon application of this product the outer roof should be installed without delay. Aluminium foils should not come into contact with wet concrete or mortar, as the aluminium is susceptible to alkali corrosion. 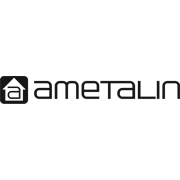 Ametalin SilverFloor 500™ should be installed in accordance with AS/NZS 4200.2:1994 Pliable Building Membranes and Underlay’s, Part 2: Installation Requirements. 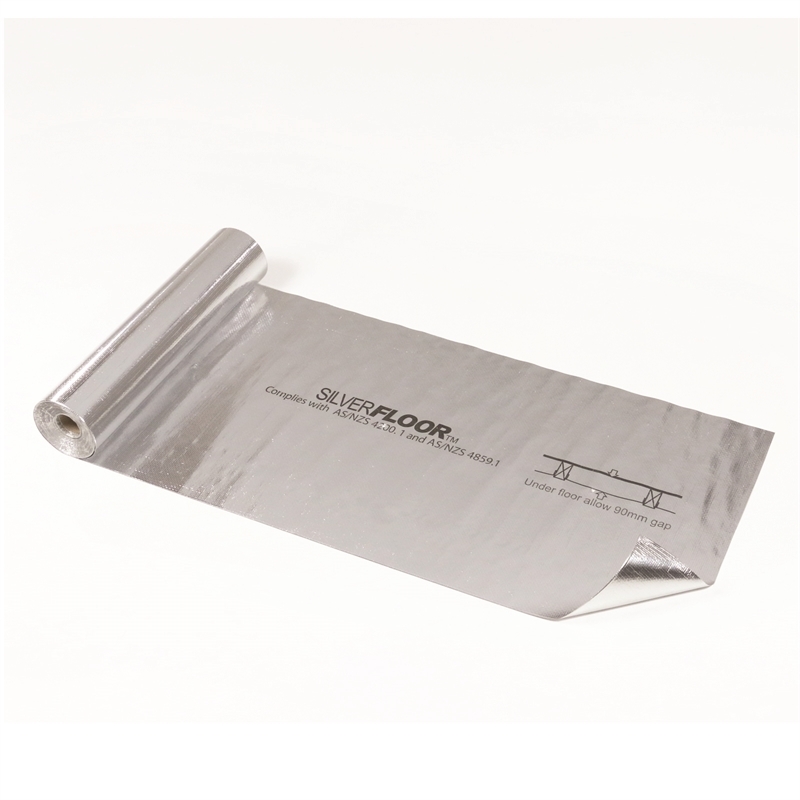 Ametalin SilverFloor 500™ is conveniently installed by rolling the roll along the tops of the joist, keeping the material under tension with one hand and fastening with a hammer tacker. To ensure maximum durability, galvanised staples should be used. Ametalin SilverFloor 500™ should be installed at least 90mm from the underside of flooring, i.e. at the bottom of a standard joist. 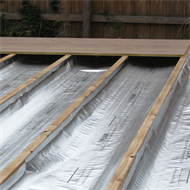 Joints should be overlapped by 50mm and taped with Ametalin Insulation/Ducting Tape.